Bodog Casino players from nations spanning Europe and Asia will soon be unable to enjoy their site of choice due to an upcoming business move. The popular online gaming network, based in the United Kingdom, has just announced that it will stop offering its services to 20 nations by the end of this month. Bodog Casino’s operator, Bodog UK, has just released a statement that detailed its plans to pull out of numerous international markets by 30th August, 2012. The effected countries include Armenia, Azerbaijan, Belarus, Bosnia and Herzegovina, Bulgaria, Croatia, Estonia, Hungary, Israel, Kazakhstan, Latvia, Lithuania, Macedonia, Montenegro, Romania, Russia, Serbia, Slovenia, Ukraine and Uzbekistan. Bodog members from these nations are urged to withdraw any remaining funds from their accounts by 30th August (after the cut-off date all withdrawals will have to be carried out via Bodog’s customer service) and cease depositing further amounts after the end of the month as well. The press release issued by Bodog Casino described the company’s decision to withdraw from the aforementioned markets as an effort to “concentrate on our strengths and where we can offer the best product.” The statement went on to say that “spreading ourselves too thinly to try and cover a huge amount of smaller markets was proving logistically difficult” and that a smaller customer base would be better served by the decision to limit Bodog’s international services to a smaller number of countries. The software behind PKR.com’s online poker site has lead to critical and commercial acclaim since its launch. Now, members of PKR’s casino offshoot will be able to enjoy the same, high level of quality as the company has announced the addition of three dimensional versions of some of its most popular games. PKR Casino looks to be expanding its services in much the same way as its poker-based sister site, most likely hoping to garner the same type of attention that its previous implementation of 3D technology has attracted. Fans of the site will now be able to play site favourites like blackjack, Casino Hold’Em and Caribbean Stud Poker with all of their favourite gaming features translated into more graphically impressive versions. Along with the revisions of these games, PKR Casino’s update has also added in nine new avatar emotes, eleven new hairstyles (for both female and male avatars), improved virtual agent customer support, synchronized tournament breaks and more. Leon Walters, PKR Casino’s Chief Operating Officer, told press that the decision to add 3D software to the site came as part of a continuing effort to provide “realistic, immersive and engaging games that put players at the heart of the action.” His statement outlined the full range of platform improvements while adding that PKR is “confident that [the updated games will] prove to be hugely popular additions.” Further updates to PKR Casino are expected to arrive throughout future months as well. An anonymous Betfred.com member has just received an enormous windfall that made them much, much richer while also setting the record for the United Kingdom’s largest progressive jackpot prize. The life-changing jackpot provided the unknown Betfred player with some £5.1 million, an amount awarded after the site member had staked only £1 on a slot game. The anonymous player sat down to a game of Beach Life and, after only six spins of the virtual slots, had triggered the staggering progressive jackpot — an amount that had been steadily building in size before being won. With such a large prize needing to be claimed, the winner was required to receive the multi-million pound cheque in person from Betfred’s founder Fred Done, receiving a trip aboard Done’s private jet. Even more extraordinary is the anonymous player’s earlier luck. Before winning the £5.1 million Beach Life jackpot, s/he had scored £250 through the King Kong slot. Later in the day, the winner became the recipient of the third largest progressive slot jackpot in the entire world. Done spoke to press about the milestone jackpot, describing his enthusiasm as a bookmaker for “turning someone into a multi-millionaire at the click of a mouse” while adding that “it just goes to show it’s always worth trying your luck.” Players who want to take a shot at winning their own fortune should head to Betfred now to play at Gold Rally, the biggest progressive jackpot (at £838,000) currently available at the site. Fans of Bodog’s unique brand of online casino play have been delighted to find an overhaul to their site of choice’s gaming lobbies. The massive gaming company surprised its players and industry observers alike by debuting a number of fresh new ideas that look to increase convenience, making for a more enjoyable time at the various slots and tables hosted at the site. The recently unveiled Bodog Casino lobby facelift has affected the European, Canadian and United Kingdom iterations of the site, providing great new changes for players across a wide variety of regions. These redesigned lobbies allow members to make use of simpler navigation features, game previewing (in order to show what’s occurring in ongoing games a player may wish to join) and a revamped search bar feature. Outside of game lobbies, Bodog is also bringing live dealers to its Asian sites and is currently hard at work in setting up studios, hiring hosts and designing software that will bring this new feature to its casinos in the near future. A bad beat ruins even the best session at the tables, online or off. Ultimate Bet has always tried to make up for instances of extraordinary bad luck by rewarding certain players through its Bad Beat Jackpot, a promotion that provides a great cash prize for site members who have suffered noteworthy losses. Ultimate Bet’s most recent Bad Beat Jackpot recipient was a Canadian player competing under the name, “RUNRAGGED”. RUNRAGGED was awarded more than $100,000 after he was struck by extreme bad luck last Wednesday, 3rd November. Seated at a game of $0.25/$0.50 no-limit hold ‘em, RUNRAGGED was taken down with quad nines by four Queens. Ultimate Bet took note of his bad beat and RUNRAGGED was eventually awarded a total of $100,956. The 838 other Ultimate Bet members playing at the same stakes level as RUNRAGGED were also given a part of the bad beat haul, taking home $61 just for having the good luck to be playing when they were. The seven other competitors at RUNRAGGED’s table were given $1,000 as well. RUNRAGGED is sure to get over his bad beat a lot faster with the help of over $100,000 In cash from Ultimate Bet. To date the online poker company has awarded roughly $60 million over the past three years through its Bad Beat Jackpot promotions. Ultimate Bet revealed that its most recent Bad Beat Jackpot had a total jackpot of $201,047. Both the poker and casino versions of Littlewoods are set for major improvements as the partnership between Sportech and 888.Com has been recently focused on this branch of their overall network. Players can expect an overhaul of existing services so that several improvements can be implemented toward better service and gaming. Sportech has been working on massive redesigns of Littlewoods Poker and Casino after acquiring business with these sites through their partnership with 888.Com. Now fans of the Littlewoods brand are set to receive some pretty great rewards for their patronage. Along with new gaming options, further bonuses and rewards are being planned with the backing of 888 providing additional funding. Travel packages to various locales, more substantial sign-up/referral bonuses and an increase in tournament offerings are all expected to go online at Littlewoods as soon as work is complete. New VIP incentives have also been discussed in press releases which seek to reward faithful players with exclusive gaming and event opportunities. This is great news for Littlewoods fans and is sure to attract new traffic to both the casino and poker iterations of their service. Sportech is renowned for their expertise in software development and fan following. Their involvement with 888.Com and Littlewoods is bound to create a lot of positive attention for both companies involved in the work. Noted software developer, Cryptologic and premier online casino, PartyGaming have recently formed a partnership which will soon see new gaming titles released for users to experience. Both companies stand to enjoy immense benefits from their venture while giving something new to devotees of the PartyGaming platform. Chief Executive Officer for PartyGaming, Jim Ryan spoke to press regarding the deal with Cryptologic and expressed delight that his company would soon be able to benefit from a business relationship with such a well-known, reputable developer. The five-year licensing agreement signed by both parties is set to see six new games released in the near future. Although details haven’t yet been released as to which software titles have been purchased (and where they will end up on the PartyGaming network), the news is still exciting when viewed as a sign of things to come through the high-profile partnership. The development of six new casino titles is just the tip of the iceberg for PartyGaming as well. Cryptologic’s deal with the network promises to yield even more quality titles for fans to play as time goes on which should assist in keeping the network relevant and exciting within the competitive industry. Considering the recent losses in business for Cryptologic, the high-profile nature of these changes could end up breathing some new life into their company. One of the most popular online gambling businesses, 770 has announced the release of new versions of games from their poker and casino offerings. 770 are hoping to accelerate interest in their site while simultaneously providing some new entertainment and fresh experiences for existing users of their client. Immediately obvious changes to 770 Poker and 770 Casino involve a more immediate, “click-and-play” style of interface designed to make getting into any kind of game quicker and more convenient. Access to community forums, tutorials, blogs, support staff or promotional information is now available from any point of the page which means that navigating away from a game for any other business is now easier than ever. Visual designs have also been revamped in order to breathe a bit of new life into the service and give faithful players a nice change of pace. With the release of new software, 770 Poker and Casino are set to receive a duly earned influx of traffic which should aid in giving the company even more prestige within the industry. There is no word yet on whether the last remaining 770 offshoot, Arcades 770 will receive similar treatment as the poker and casino clients have but it seems likely that we’ll hear an announcement regarding this soon. The new software is online now and ready for users to take a spin on so check it out today and see what you think. An impressive $168,947 progressive jackpot was finally hit by a lucky Slotland player yesterday after going unclaimed for far longer than usual. The prize had been steadily accumulating for more than a month with large numbers of hopeful players adding to the fund with every day’s action. Slotland’s progressive jackpot usually runs for about six weeks, averaging a roughly $100,000 payout which makes the player who logged in as “MRSSMITHS” luckier than most. The user won the prize through the website’s Booster slot machine and managed to take the steadily growing jackpot. Slotland’s Martin Smith reported that the company was keeping a watchful eye on the money and couldn’t believe that it still continued to go unclaimed after passing the $100,000 mark. Booster is one of the more popular progressive slot machines available at the site and sees a large number of players flocking to it every day. MRSSMITHS’s success makes them one of the top winners at Slotland’s progressive jackpots. The largest prize ever issued from the online casino was won by a Canadian man at a staggering $195,083 through the Treasure Box virtual slot machine. The second largest win was a $179, 166 cash-out won by a player at the Golden 8 slots in May of last year. Premier software designer and provider, CryptoLogic has signed yet another high-profile client this week which furthers their place as leaders within the industry. The company was able to outbid other competitors to secure the highly profitable BSkyB contract in question and is now hard at work developing material for their new venue. Brian Hadfield, CryptoLogic’s CEO and President was delighted to share the news with press and ensured that his company would continue to do all they could to expand and drive profits forward for everyone involved with their business. The contract with Sky Betting and Gaming through BSkyB ensures three years of a mutually beneficial partnership and could mean a great increase in success for both sides of the new deal. Sky Vegas is set to enjoy a plethora of new casino games previously developed by CryptoLogic and tailored toward their site as well as the promise of inventive, new software exclusively developed for their internet gambling services. Sky Betting and Gaming’s Managing Director, Richard Flint said the decision to sign with CryptoLogic was driven by the company’s proven track record and steadfast commitment to innovation within the field of software development. CryptoLogic now holds contracts with such enormous online gaming companies as 888.com, InterCasino, William Hill and Sky. Enormous UK business presence, Genting Stanley recently launched their very own online casino service via CircusCasino.Com and to show that they mean to differentiate themselves from the pack they’ve launched a series of innovative tournaments. CircusCasino and a series of land-based venues are working in conjunction to give players two tries at an enormous tournament through a method never yet explored in the industry. The Second Chance Poker Classic is set to give devotees of Genting’s physical casinos an additional shot at qualifying for the upcoming $200,000 guaranteed Poker Classic tournament. Casinos that fall within the forty applicable options (Maxims, Mint and Circus franchises among them) are offering players who fail to make it during this week’s poker tournaments another chance via the internet. Even by missing the mark for the November event at a Genting casino, the company is allowing additional qualifying rounds at their website in a move that is guaranteed to drum up traffic and increase support for the still-new online service. CircusCasino may be a young player in the fiercely competitive business of online gambling but with the strength and intelligent business strategies of Genting Stanley on hand it’s becoming clear that they’re ready to make an unique mark in the industry. Poker fans that play this week and end up qualifying for the Second Chance Poker Classic should check out the site today and prepare for their next attempt. Although Golden Tiger is a relatively new online casino they have managed to achieve considerable success due to aggressive marketing and a solid platform. With the announcement of promotional CDs to be distributed internationally the company seems to be in no danger of slowing down their work and attracting an even wider fan base. Golden Tiger’s plan is a simple one that may end up working wonders for the company in the long run. By releasing complementary CDs throughout an international market the online casino is hoping to attract enough attention to bulk up their business clientele and user traffic. The strategy is a solid one and is being touted as the largest-scale advertising campaign yet by an online casino. Golden Tiger’s promotional CDs will come in three different varieties and each one holds a different monetary bonus value for recipients. Gold discs will offer $1,500, blue award $500 and silver provide $10 in free play toward getting started in gambling at Golden Tiger. Of course getting visitors to try out a new site is only one aspect of successful business but the bonus codes and great gameplay variety should be enough to keep new players coming back. It’s certainly an ambitious plan and may be enough to propel Golden Tiger into the upper echelon of online casinos currently operating in the business. Howard G., a fifty-five year old Houston, Texas resident had a fantastic surprise when logging on to play ‘Victory’ slots at Bodog Casino recently. To his complete surprise the machine spun out the right combination to reward Howard a massive jackpot within seconds and drastically bulk up his wallet. The Victory slots came up as four ‘captains’ and a ‘ship’ after the reels stopped spinning which put Howard into a state of disbelief. Bodog’s slots reward the ship icon on this machine as a wildcard which automatically paid out the $5 per line bet ten thousand credits. Although $50,000 probably would have been enough to make the Texan’s day he was also lucky enough to win on a free spin which turned his ship into four-times its worth and then paid out the $200,000 total prize. It’s a fairly impressive payout considering that the Victory slots at hand weren’t even one of the ‘hotter’ progressive jackpots and that it was complete fortune which provided the enormous sum. Bodog Casino is well known for being one of the best online venues available and for Howard G. their reputation certainly proved itself true. Several other devotees of the service have had enough luck to cash in on progressive jackpots and set payouts in recent months with Howard being only the most recent to strike it rich. Months ago, designers at Slotland created a fully three-dimensional and immensely interactive casino software engine but only now has the platform seen full implementation as it opens up to real money gambling. The announcement of Winaday.Com’s offering of the Slotland software for play and real-money gaming may inevitably set a new standard for all competing e-casinos. Slotland has created a service which is leaps and bounds ahead of almost every other site in the business and gamblers should be pleased to see the striking innovations at play here. Users are able to navigate a casino and play a large variety of fully developed games which all feature engrossing sound and visuals. This level of immersion is only furthered by animated customer service attendants and dealers. Small touches and a staggering level of detail are set to make Winaday.Com a fantastic choice for casino users who want a closer approximation to brick and mortar venues than what the market currently offers. Winaday.Com already hosts a great number of incentives for players to take advantage of and the implementation of Slotland’s 3D technology will only serve to further the foundation of their site. Interested internet casino fans should check the site out today and see a glimpse of what very well could become the future of the industry. 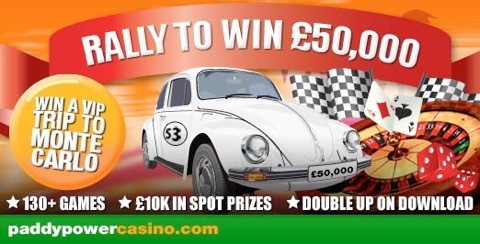 CasinoChoice.co.UK has established itself as a leading review source for online casino and poker websites and has now announced their entry into the UK bingo forum with added content. Final, cumulative scores will be decided in the near future for a variety of sites along with a wealth of informative content to help users pick the bingo service which works best for them. The site exists as the longest-running UK online gambling review service and their addition of bingo can be seen as a long time coming. With the immense (and ever growing) popularity of virtual bingo halls, CasinoChoice has made a wise decision by expanding their reputable service into this field. The review site will soon be hosting scores based on targeted sites performance in the categories of graphics, game variety, playability, quality of promotions/bonuses and payment options as well as respective screen shots. CasinoChoice will also be adding respective screenshots and portal links for users to make their venue choices by as well as detailed write-ups and final scores. As CasinoChoice expands users are set to have a great option for all one-stop reviews and portal bonuses. The company’s reputation stems from their recommendations of only those sites which have proved safe, legal and trustworthy and this alone may be enough of a reason for novice online bingo players to check the new content out. Major, international online casino, GPS Global has discussed the details of their almost complete, revolutionary new gaming software. The company’s development of a live-dealer is set to offer a substantial new concept and system for players and industry observers alike when it launches in the near future. The information released thus far have detailed GPS Global’s live-dealer technology which is set to offer online casino player’s further immersion than anything else currently being offered. Live dealer, elimination blackjack is planned to be the first game up for user play and will feature streaming webcam use to bring actual dealers to user’s computers. The idea behind GPS Global’s system is to demonstrate the level of involvement possible outside of traditional, brick and mortar casinos through showcasing technology and customer service at a level capable of bringing dealers right to the player. Lawrence Davis, Director of Casino Operations at GPS Global has told press that the investment into the live dealer system is part of the company’s larger goal of providing consumers with something new from online casinos. Whether online gambling fans warm to the concept or not will have to be seen but Global’s commitment to innovative business strategies should at least pave the way for further, groundbreaking practices to come. We have just released a document on the History of Craps here at Findabet.co.uk. Craps is a very popular Casino game that involves dice, and it goes back a good few years. Craps is also a very popular game at Online Casinos and we would hope you find our article on the History of Craps useful. The corporation behind the largest physical casino network in the UK, Genting International has finally announced plans to launch an online version of their services in order to stay competitive with fellow industry leaders. Genting’s upcoming CircusCasino is set to shake up the business by a heavily financed and well-managed new entry. Genting International’s Managing Director, Justin Tan described the move as a strategic one which is no surprise considering that modern casino players are as drawn to their computers as any land-based business. The project will be headed up by Genting Stanley Alderney Ltd. and can be expected to offer a service that many existing fans will find desirable. Combining brand-based trust with storied years of experience in the physical casino industry, Genting International may have a hit on their hands by the time CircusCasino is fully ready for launch. The website directors have stated a dedication toward providing a service which seeks to emulate the fun and excitement of brick-and-mortar casino play from the comfort of home. An online iteration of their service seemed inevitable and industry observers will be interested to watch exactly how well Genting manages to make the transition. Considering that the company owns forty-four clubs across Great Britain (including many esteemed brands and upper-class venues) there should be no shortage of finances put toward making CircusCasino a major internet player.